Following the grand slam of LED safety accessory Halo Belt, product creator Vincent Ng and is back on Kickstarter and hoping for another success story. 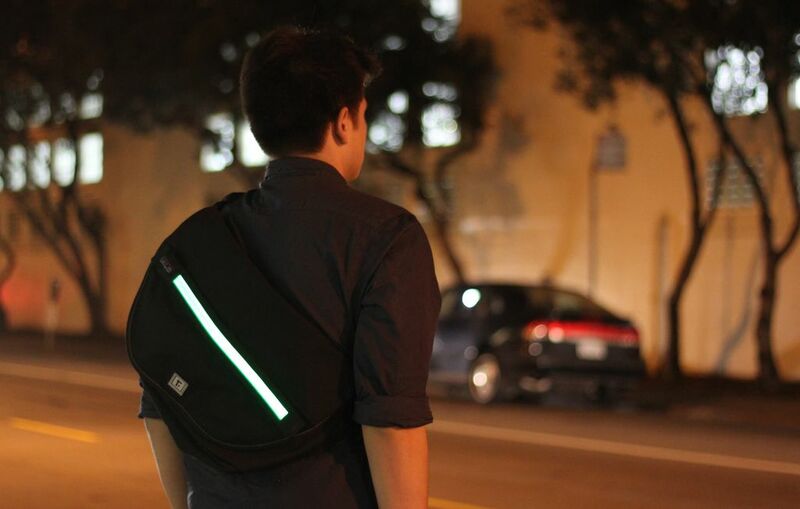 This time, he’s incorporated the LED strip onto a messenger bag so you can remove the light when it’s not needed – or if you prefer to wear the actual light as a clothing accessory. The Halo Zero LED Messenger bag bare similar concept as the original Kickstarter project; Ng’s idea still revolves around helping commuters be seen when traveling at night by utilizing LED illuminations instead of those unsightly yellow day-glow jackets. 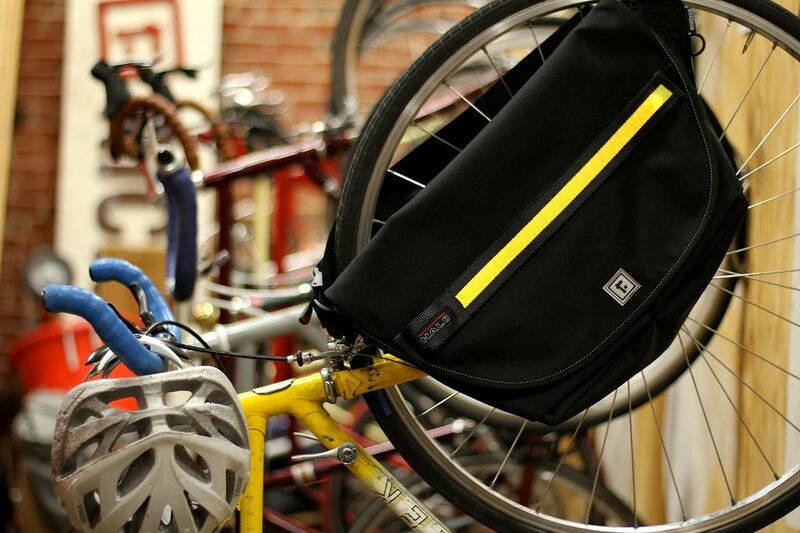 The bag, a collaboration between Halo Belt and San Francisco-based Rickshaw Bagworks, can hold up to a 15″ laptop and contains two front pockets for your miscellaneous necessities. The light strip itself, much like the original Halo Belt, lasts 20 consecutive hours on solid mode, and runs on inexpensive CR2025 batteries. The combination of a lightweight backpack plus LED lighting is sure to fend off road ragers (but just to be safe, you should still ride carefully!). It’s a modest upgrade to a project we’ve fell in love with once before – if not for the practicality but also the possibilities. We already said the Halo Belt would be a great accessory to take into a night at the club or decorating a party with, so perhaps it’s only a matter of time before we see a whole line of Halo Belt infused products designed to keep you rocking that philosophy of form, function, and footprint. What next, Mr. Ng? A motorcycle jacket with LED trims? Halo earrings and headbands for the ladies? Halo Zero LED Messenger Bag is currently accepting backers until March 8, and you can own a piece of the action at $128 apiece. Not bad, considering an average Rickshaw bag can run you anywhere between $60 to $90, while Halo Belt itself is $85. See below for a promotional video of Halo Zero on Kickstarter. Oh, and if you look closely, Digital Trends pops up twice in the introduction. They must really love us.